Barcelona midfielder, Andres Iniesta will leave the club at the end of this season, with the Spain international ready to pursue a new challenge elsewhere. Arsenal have emerged as potential suitors for the veteran midfielder, with Manchester City and clubs from the MLS and China also in the race for his signature. Spanish newspaper, AS reports that the Gunners feel they can get a deal done if Enrique replaces Wenger in the Emirates dugout. Enrique managed Iniesta for three years at Barcelona before taking a rest from coaching. 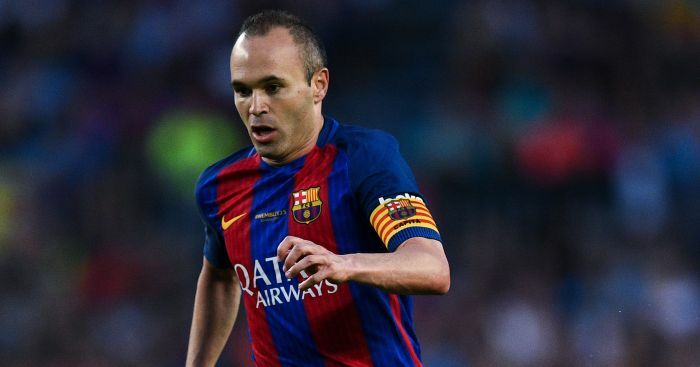 The duo won nine trophies together, with Iniesta’s performances in midfield helping the likes of Lionel Messi and Luis Suarez to shine. The newspaper however stated that Arsenal are not the only club keen on signing the Barcelona star.